Enjoy the picturesque scenery of the Rocky Mountains from the comfort of your warm home. This beautiful autumn scene highlights the golden green trees with crisp flowing water streaming down from the snowy mountains. 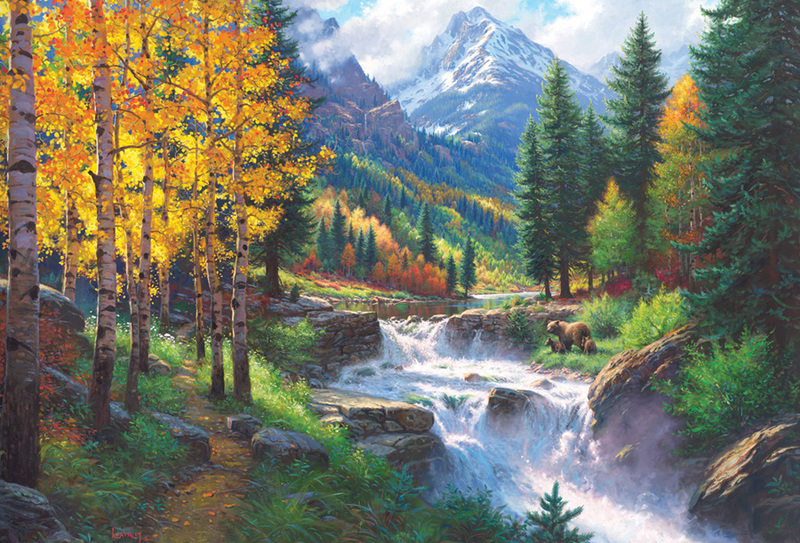 A refreshing 2000 piece jigsaw puzzle from artist Mark Keathley. Includes reference poster! Item # 89002 Weight 2.50 lbs.